Pranav is using Smore newsletters to spread the word online. Rivalries have been around since the beginning of the NFL. Some teams have players that used play together or just traditionally don't like each other. Here, me and my associates Svanik and Mason, explore a few of these rivalries. The rivalry between the Chicago Bears and Green Bay Packers began innocently on a mild November Sunday afternoon at Chicago's Wrigley Field (then called Cubs Park) in 1921. The Bears, then named the Staleys and one of the league's founding teams, were ready to show the ropes to the Packers, who were in their inaugural NFL season (although they had existed as a pro football club since 1919). Chicago pounded the Packers 20-0, and, for extra measure, Staleys guard John (Tarzan) Taylor threw a sucker punch that broke the nose of Packers tackle Howard (Cub) Buck. 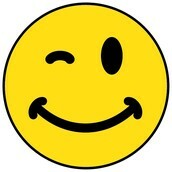 It was the opening bell in the start of a beautiful relationship. 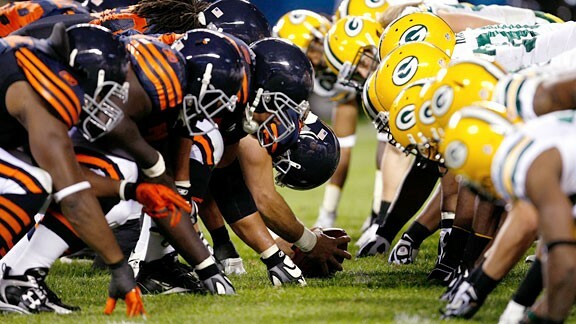 For the past 80 years, the Bears-Packers series has had all the bitterness, intensity, and animosity normally associated with rivalries. The fire that burns behind the Raiders/Broncos rivalry was truly ignited back in the '70s. That fire is still as strong as ever, as the two teams have battled it out like no other for over 40 years. 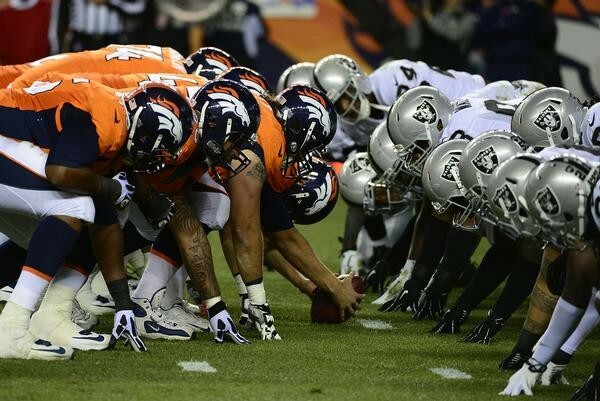 Since the NFL-AFL merger in 1970, the Raiders have won 13 division titles to the Broncos' 10. The Raiders have gone to five Super Bowls, winning three, as the Broncos went to six, winning two. Despite being in the same division, both teams have eliminated each other from the playoffs. The Broncos beat the Raiders in the AFC Championship game 20-17 at the end of the 1977 season en route to the Super Bowl. The Raiders beat the Broncos 42-24 at the end of the 1994 season in the wild-card game. Although they’ve squared off almost 30 times in the preseason, the Patriots and Giants have only battled it out a total of 10 meaningful times — some more meaningful than the others. 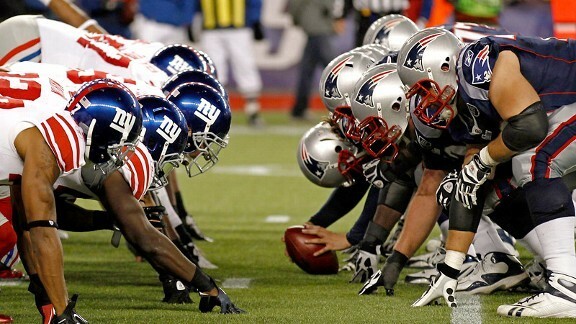 The Pats and G-Men first met in 1970 when the Boston Patriots were shut out by the Giants 16-0 at Harvard Stadium. Since then, it’s been an up and down ride for both clubs — full of record-breaking plays, Super Bowl drama and classic Boston-New York rivalry battles. Six of the 10 games have been decided by four points or fewer, including the last three in a row. The all time wins record is six wins apiece.